Opal Griffiths, age 90, of Ripon, WI, passed away on Friday, November 23, 2018, at Ripon Medical Center. Opal was born May 7, 1928, in Ripon, WI, the daughter of Albert and Anna (Tornow) Roeder. She graduated from Ripon High School in 1946 and attended Berlin County Normal for teaching. On June 7, 1958, Opal married Kenneth L. Griffiths. She went on to further her education at U.W. Oshkosh graduating with a bachelor’s degree. Opal was a teacher for 32 years and was very proud of her years teaching in Holmes School for 4 years and West Alto School for 8 years, the “One Room Schoolhouses.” She wrote these memories in a journal. Opal also taught 4th grade at Brandon School for 19 years. 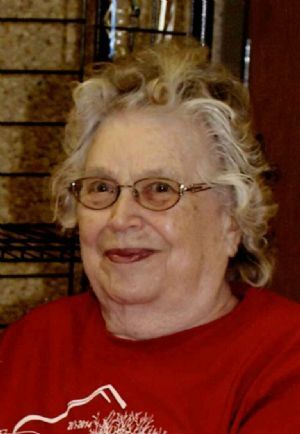 She was a member of Rosendale Historical Society as well as Ripon Historical Society, WREA, Wisconsin “Book Worms” in Fond du Lac, GLAREA and MAGF. She received the Sesquicentennial Century Farm Award and was a member of both Our Saviour’s United Church of Christ in Ripon and Peace Lutheran Church in Rosendale. Survivors include two daughters, Celesta (Michael Krause) Griffiths of Rosendale, WI and Janece (Tom) Touchet of Appleton, WI; grandchildren, Nicholas Blank of Milwaukee, WI, Dr. Jacqueline Blank of Seattle, WA and Carter Touchet of Appleton, WI and siblings, Pearl Reeck of Beaver Dam, WI, Ferd (Mildred) Roeder of Ripon and Vesta (Herman) Wolf of Boise, ID. Opal is preceded in death by her parents, Albert and Anna Roeder and husband, Kenneth Griffiths. Per Opal’s wishes, there will be no service. Inurnment will take place at a later date at North Eldorado Cemetery in Eldorado, WI. If you would like to make a donation in Opal’s name, please consider: Brandon School, 200 W. Bowen St., Brandon, WI, 53919, Rosendale Historical Society, P.O. Box 223, Rosendale, WI 54974 or Rosendale Peace Lutheran Church, 124 S. Main St., Rosendale, WI 54974. 2019 © Butzin-Marchant Funeral Home, Inc.